The comfort of your home is our priority. The professionals at The Bosworth Company are qualified to assist you when the time comes to replace your old, inefficient HVAC system. We analyze your home as well as your existing heating/cooling system and attic insulation to make the necessary recommendations to upgrade your existing systems. If a replacement is not necessary, then we will repair your existing system based on our professional experience. 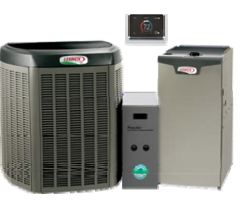 The Bosworth Company is an authorized distributor of Lennox, Carrier, Trane and Mitsubishi products to allow our customers the greatest flexibility in choosing an HVAC system. In addition, all employees are factory trained to provide you with the best service available for your home. In addition to this training, our technicians are NATE (North American Technician Excellence) certified and can replace or repair your HVAC system to restore comfort to your home. THE BOSWORTH COMPANY IS AN AUTHORIZED DISTRIBUTOR OF LENNOX, CARRIER, TRANE AND MITSUBISHI PRODUCTS. As Dave Lennox Premier Dealers, we are regularly evaluated through a review process based on customer-satisfaction. To maintain the Premier Dealer status, we must achieve the high standards set by Lennox. In addition to being held to the high standard of customer service, we are able to offer some of the best available products on the market, including products from the Dave Lennox Signature Collection. In addition to making repairs or replacements to your HVAC system, The Bosworth Company also offers seasonal clean and check services. We believe that system maintenance is the key to preventing costly damages and inconveniences. 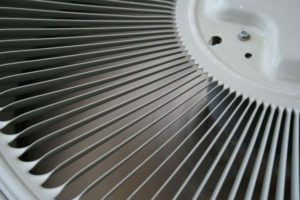 LOOKING FOR HVAC SYSTEM SERVICES? LOOK NO FURTHER. No matter what HVAC system service you need, the Bosworth Company is worth the call. Always. Contact us today by calling(432) 570-5233 or scheduling service online!